The beginning of the book was a bit weird for me, almost as if the book started in the middle of the beginning. Reggie had already been visited by Rhys multiple times and has brought a dead frog back to life in the middle of science class, However I quickly got past my confusion and immediately begun to like Reggie and sympathize with her life. 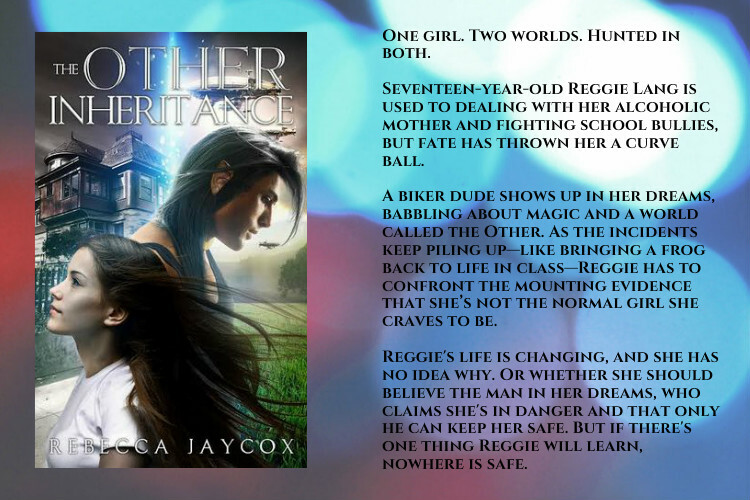 , Her mother Arlene is a Alcoholic and so Reggie is in charge of caring for her and her mother. Plus she is constantly bullied at school and only has one friend, John. We find out that Reggie is a Aether Mage, a powerful magician that has control of the four elements. Being a Aether Mage is illegal and they are being hunted and killed because of their powerful magic, and Reggie is on that list. Reggie meets Asher who agrees to help take her to Rhys in The Other. The place were Reggie actually belongs. They fall in love and I can say I don't mind that. I really like Asher and he and Reggie seen to be great together. Although Reggie does need to learn how to control her powers, as her emotions cause her magic to flare. There are a couple of things that make it so this book does not get all five stars. First of all Arlene, she just seems incapable of doing anything right, I hope in the second book to the series she redeems herself because right now she's killing it. It looks like there might be a love triangle with John, Reggie and Asher. It's not mentioned in this book, but it's kinda hinted at and I really hope that it does not happen. Also Reggie had the perfect chance to kill the villain and she wasted it. Saying she does not like killing, However she has no trouble killing others. It's a bit inconsistent on feelings on this matter. I did enjoy this book and I will try to read the second one when it comes out.